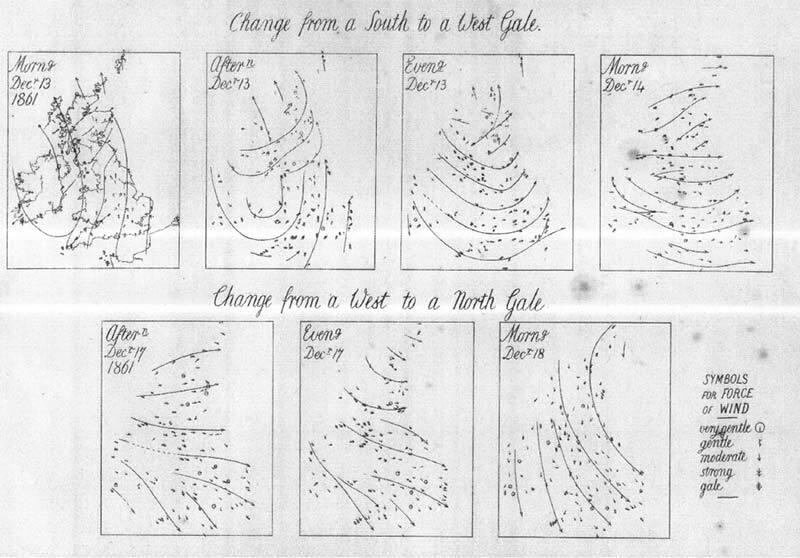 English Victorian polymath, sir Francis Galton was a psychologist, anthropologist, eugenicist, tropical explorer, geographer, inventor, proto-geneticist, psychometrician, statistician and the inventor of modern scientific meteorology. 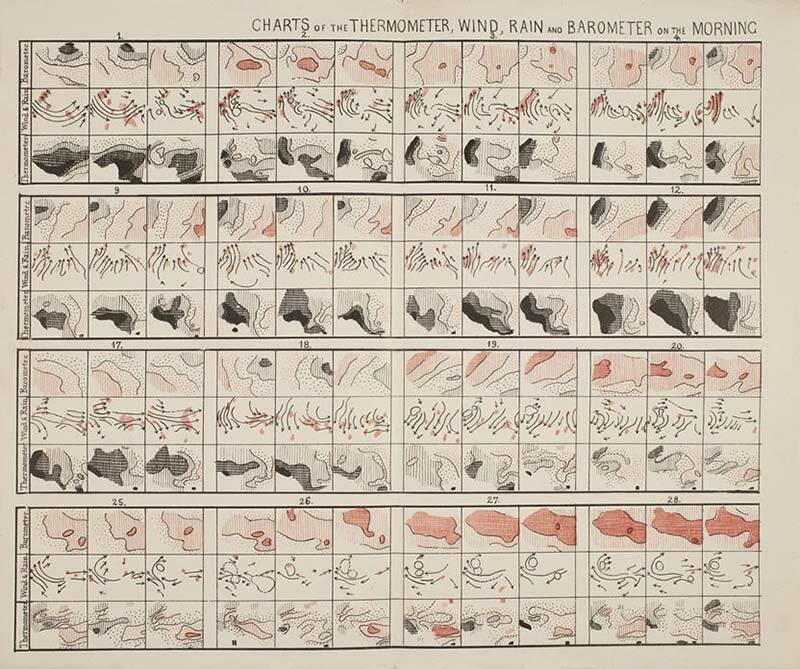 He was the father of the modern system of weather representation, as his book Meteorographica (Macmillan, 1863) was the first systematic attempt of gathering, charting and interpreting weather data on a continental scale. 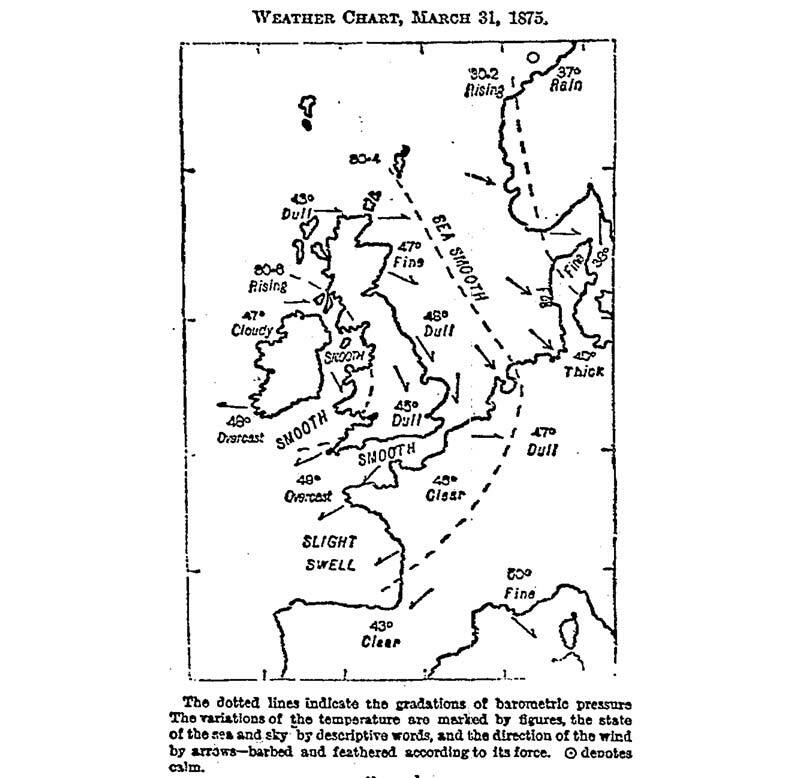 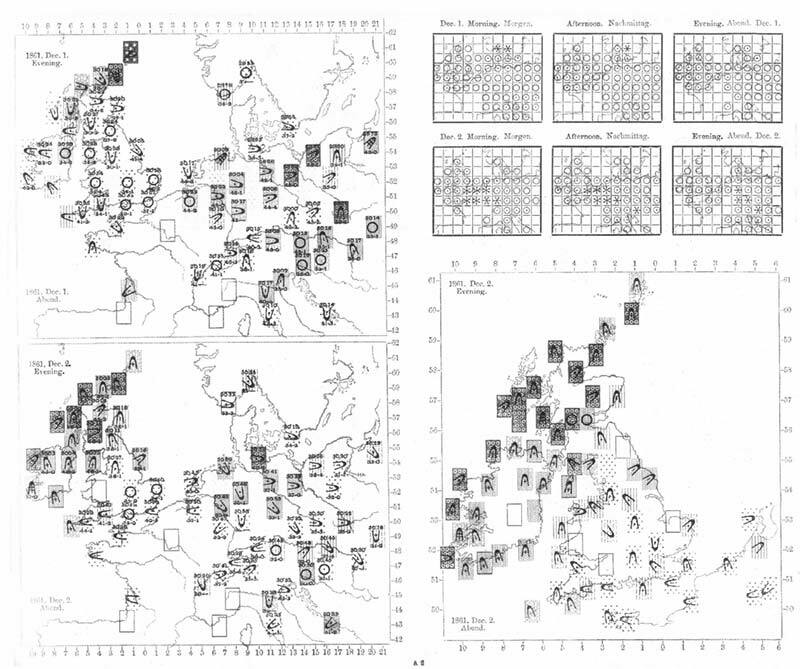 As explained in Wikipedia: As the initiator of scientific meteorology, (Galton) devised the first weather map, proposed a theory of anticyclones, and was the first to establish a complete record of short-term climatic phenomena on a European scale. 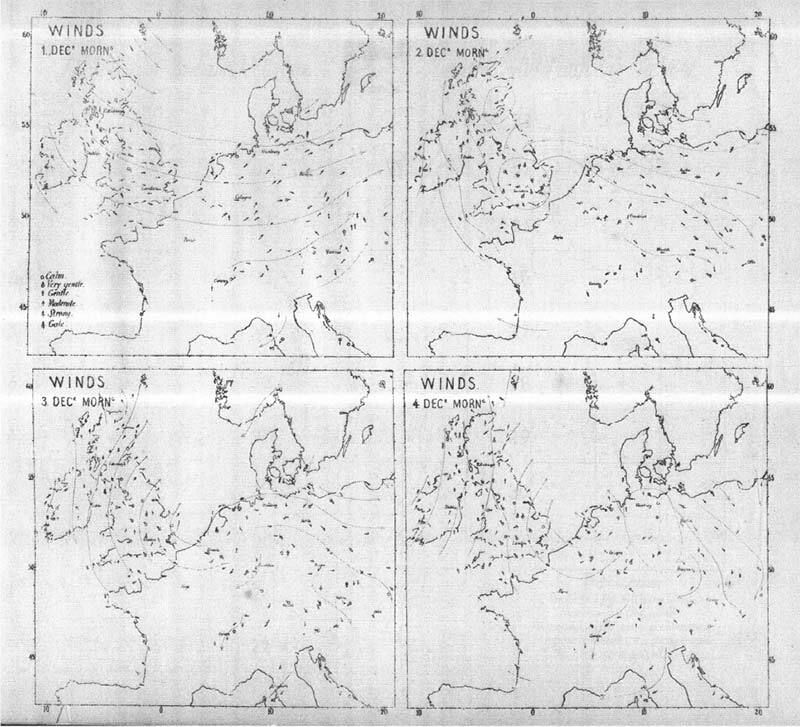 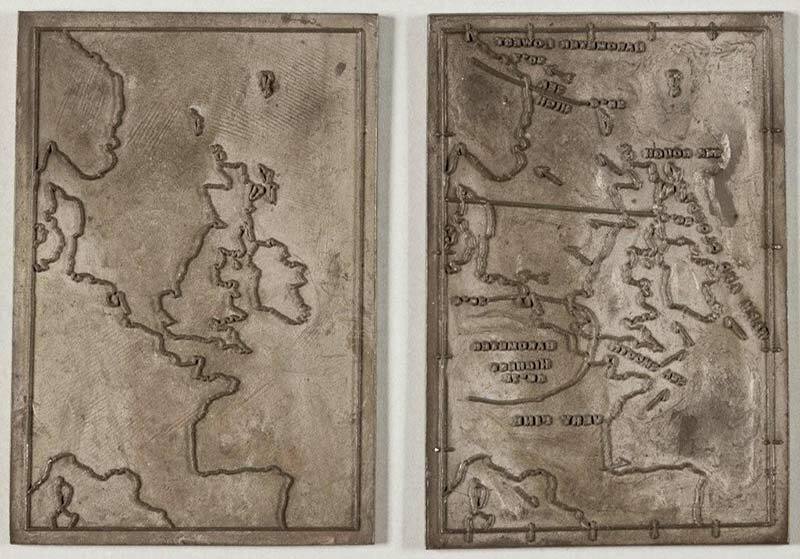 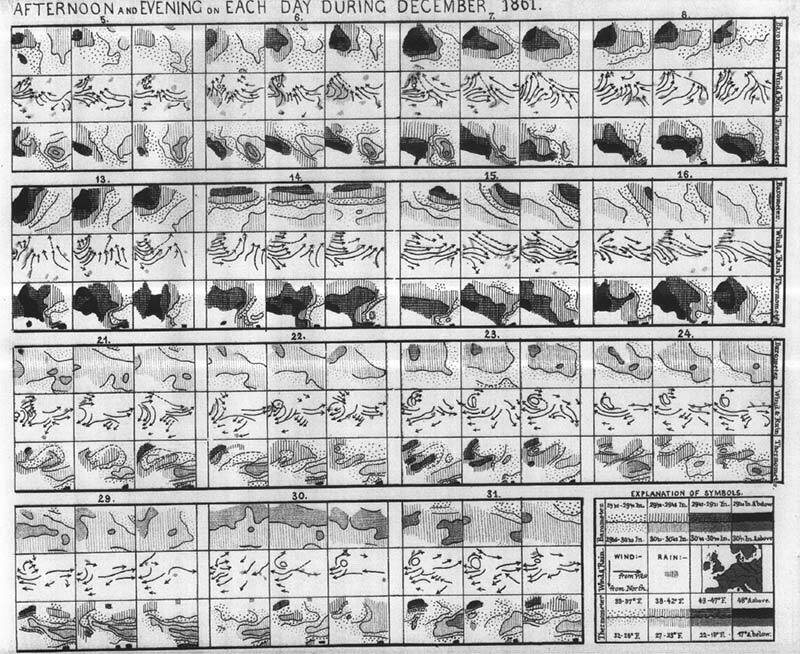 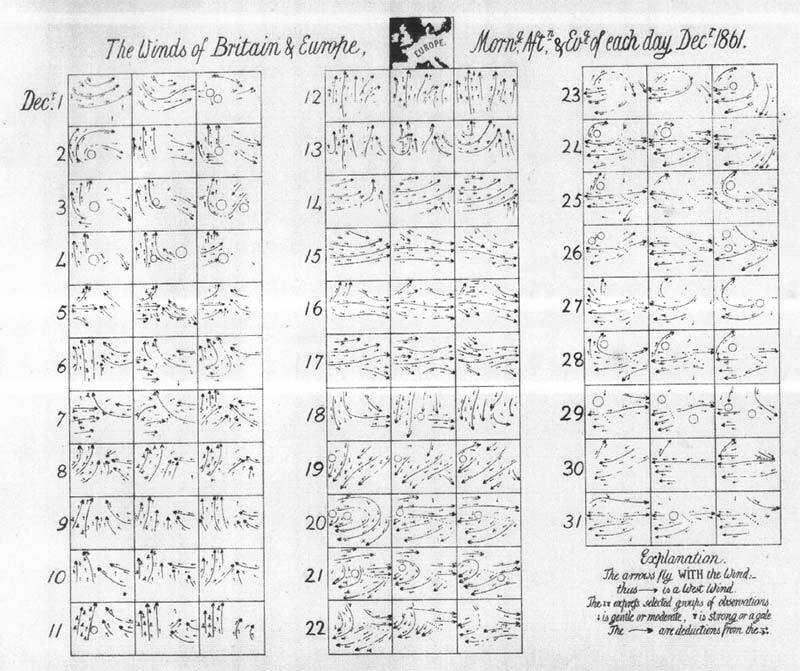 Featured here are a series of weather charts, (including Weather Map Printing Blocks, from the Galton Collection UCL – first image below): from Galton’s book “Meteorographica, or Methods of Mapping the Weather (Referring to the Weather of a Large Part of Europe during the Month of December 1861″) – available online on Galton.org.